My wish came true when we traveled to Malaysia. 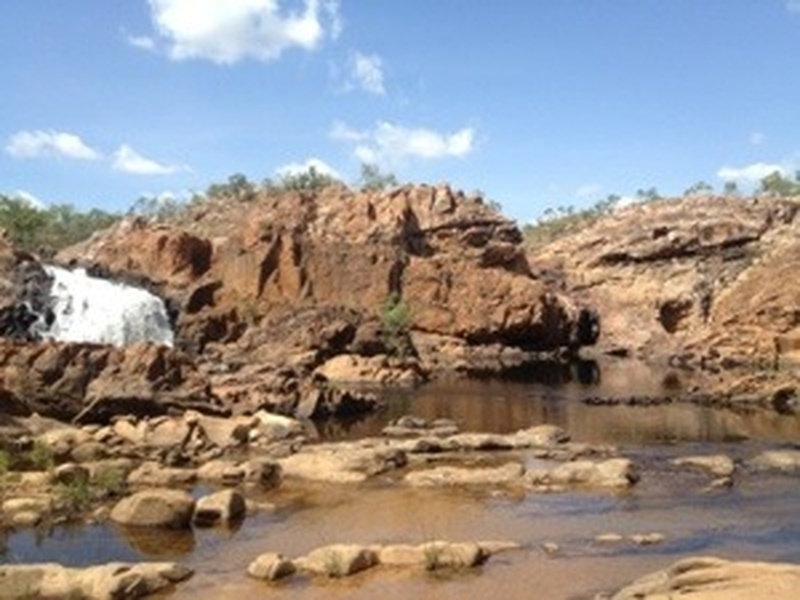 It's not a big waterfall but a very small one, yet it was probably one of our best days as we also rode a water motorbike. The water was fresh and cold. Such an exciting memory! 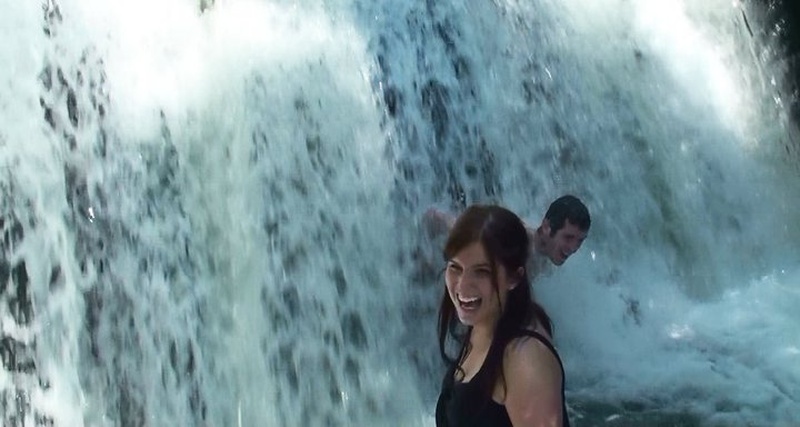 In 2010 we got to go to this waterfall and it was so much fun.. and so quite under the fall. It was kind of hidden and only locals know about it. 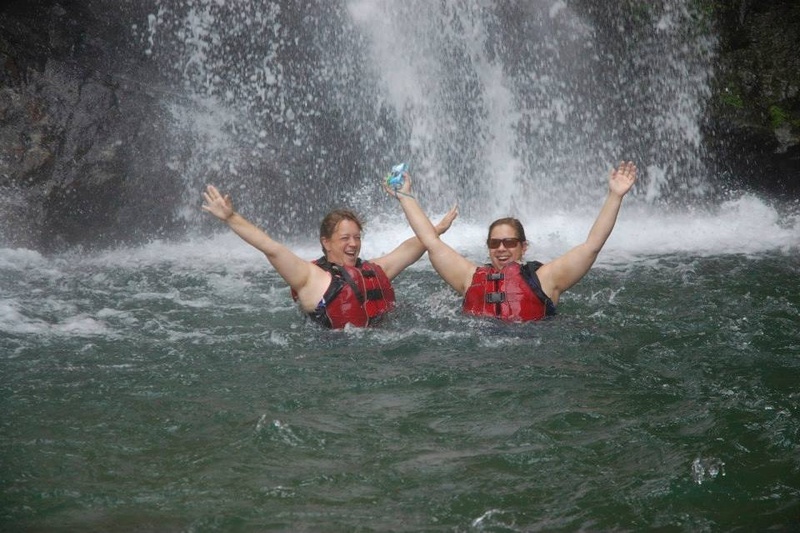 While on vacation in Costa Rica, Donna & I went whitewater rafting. 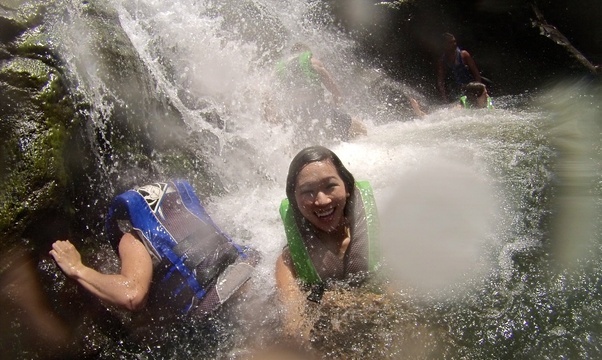 The rafting in itself was amazing. 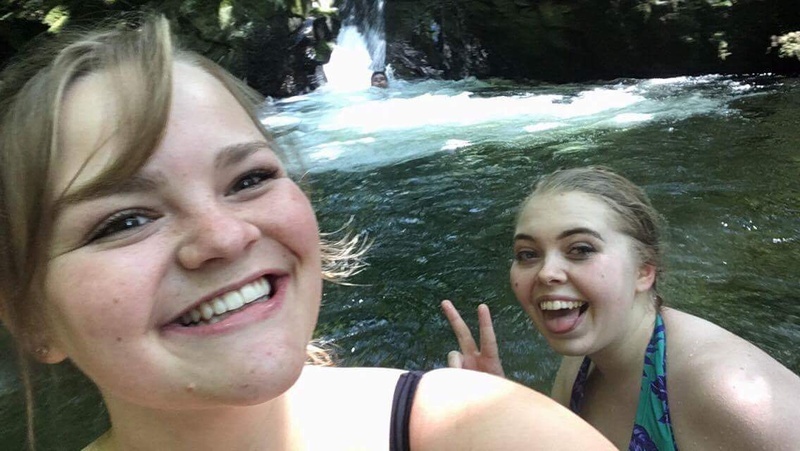 But the waterfall was the icing on the cake. 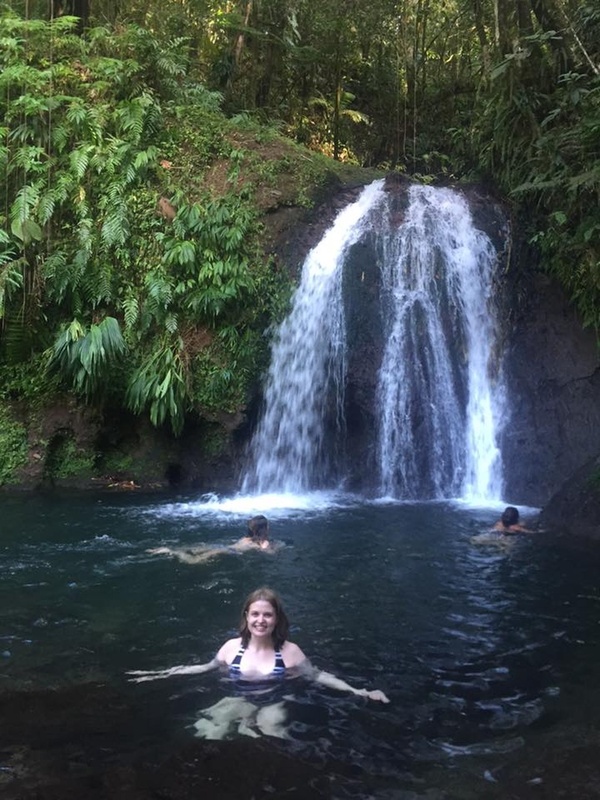 Although seeing a waterfall is pretty cool in itself, this was a great opportunity to stand under, swim into, and go behind the waterfall. It was loud! It was hard to see, hear and breathe at times, but it was amazing! 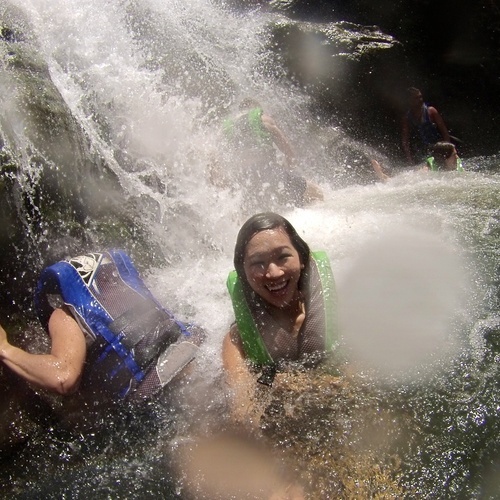 Something I definitely want to do again. 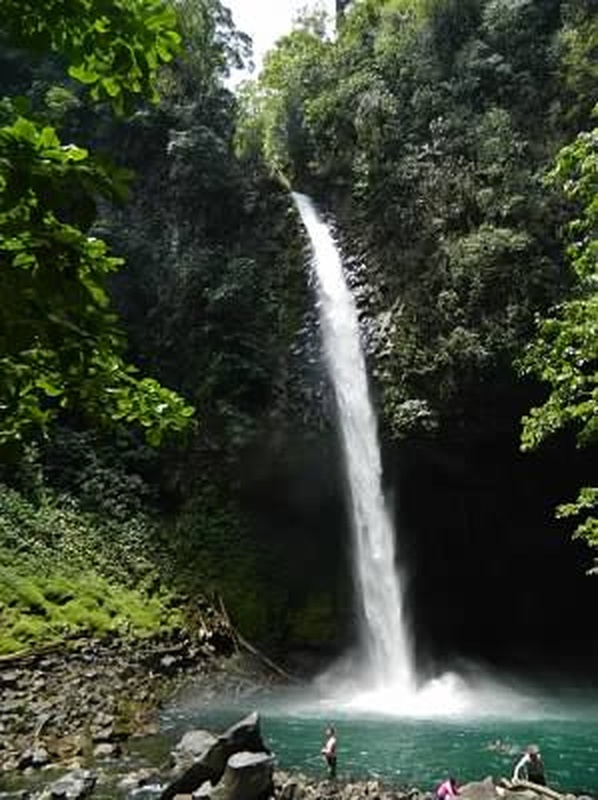 La Fortuna was nearly a mile hike down less-than-perfect stairs, But So Very Worth it. The waters were the loveliest blue-green I've ever seen, and so clear you could watch the trout swim lazily in the current. 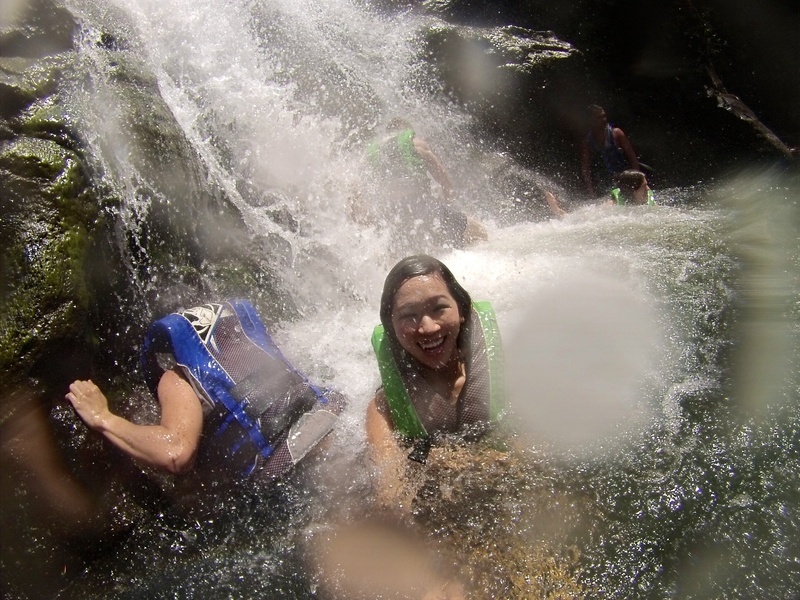 The waterfall itself was a force of nature. 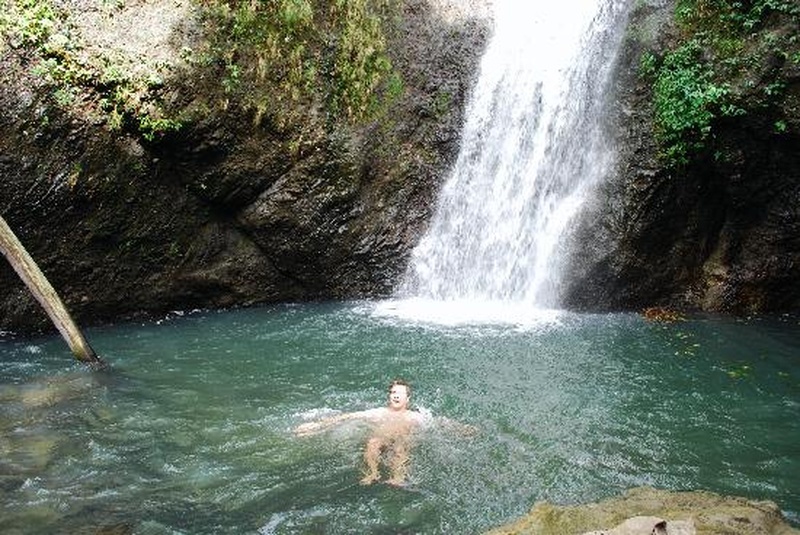 Surrounded by greenery, it roared off a cliff to free-fall into the blue pool. 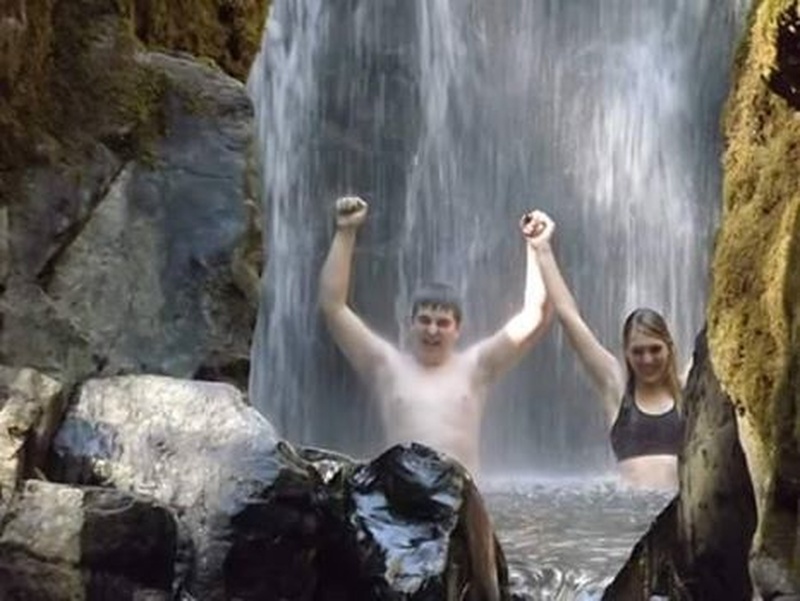 The water was cool and refreshing, and when in the pool closest to the waterfall, you could feel the sheer force of it driving into the pool. The hike up was harrowing, but I would be lying if I said I didn't feel rejuvenated when I hit the top. 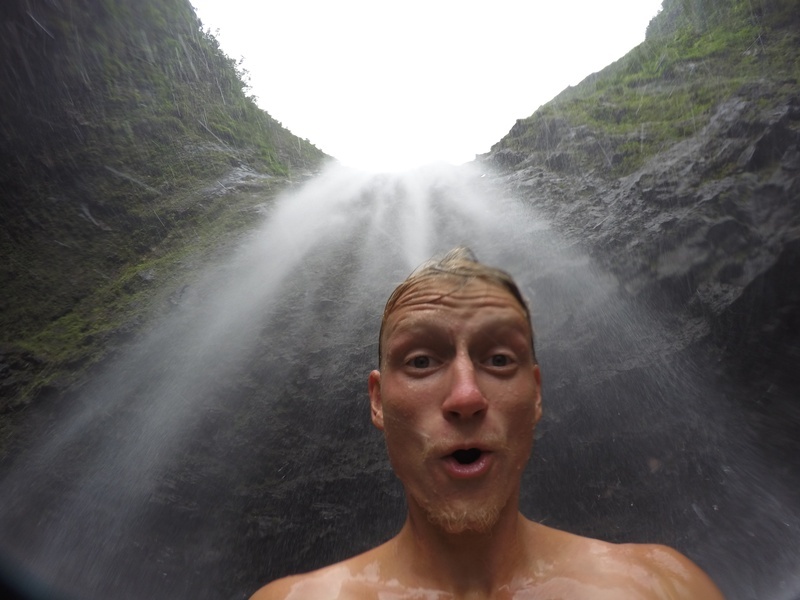 Travel and swim under a waterfall! Strong currents and freezing freshwater. A thrilling experience though a lot of shivering and workout swimming against the water current. 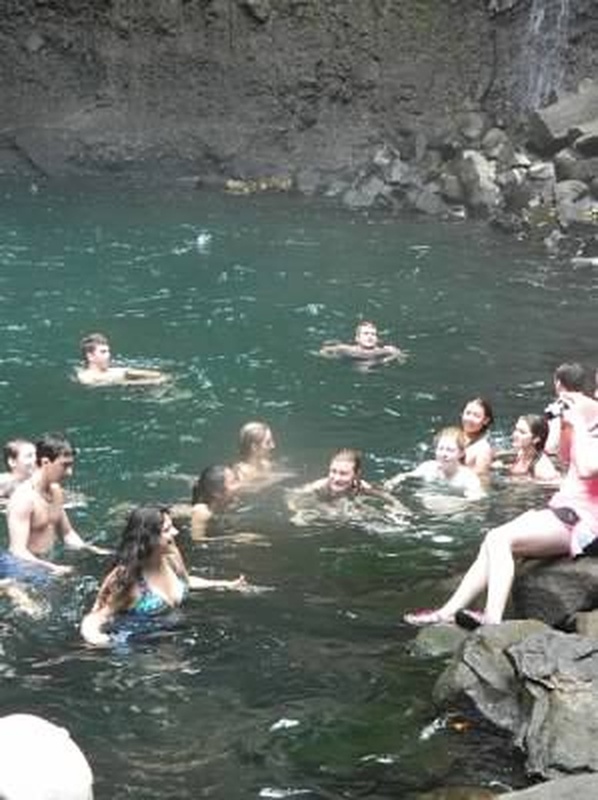 We braved the cold water in Waimea Falls and made our way under the waterfall. It was so unreal! Oahu, Hawaii March 2014. Nigeria 2005. 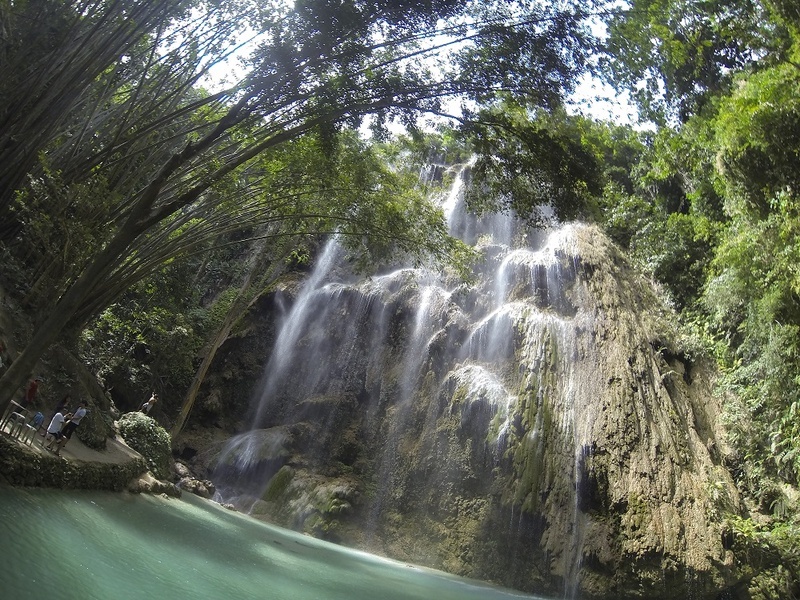 The most amazing waterfall i have ever seen. The hardest time getting there. 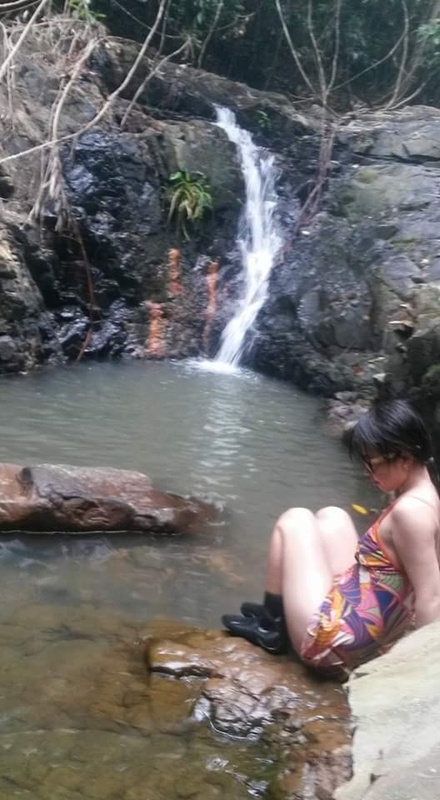 Summer of 2014, My family went to Baler so we go to this waterfall (I forgot the name) and the water is so cold but i manage to swim under the water fall. Well not really under but a little bit near under the falls because the water that is pouring is so strong so nobody can go near it. All three waterfalls, Adam's Canyon, Layton, Utah.